Kick off your visit on the 24th (Fri): appreciate the extensive heritage of Marginal Way Walkway. Plan my trip to Ogunquit with suggested itineraries provided by Inspirock. Atlanta to Ogunquit is an approximately 7-hour combination of flight and bus. You can also drive; or do a combination of bus and train. 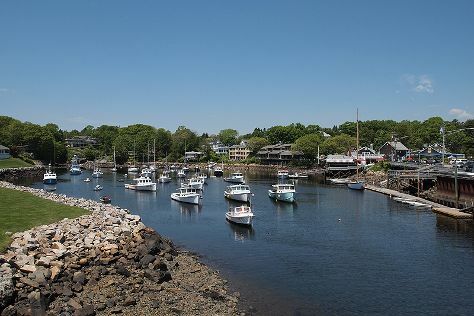 Traveling from Atlanta in May, expect Ogunquit to be slightly colder, temps between 66°F and 43°F. Finish your sightseeing early on the 25th (Sat) so you can travel to Nantucket. Nantucket is an island about 30mi by ferry south from Cape Cod, in the American state of Massachusetts. On the 26th (Sun), examine the collection at Whaling Museum, then visit a coastal fixture at Sankaty Head Lighthouse, and then sample the fine beverages at Cisco Brewers. To see reviews, photos, other places to visit, and other tourist information, go to the Nantucket tour builder app . Getting from Ogunquit to Nantucket by combination of car and ferry takes about 4 hours. Other options: do a combination of bus and flight; or do a combination of bus and ferry. Traveling from Ogunquit in May, plan for somewhat warmer nights in Nantucket, with lows around 49°F. Cap off your sightseeing on the 26th (Sun) early enough to travel to Provincetown. On the 27th (Mon), kick back and relax at Race Point Beach, then get a new perspective on nature at Sea Space Marine Discovery Center, and then identify plant and animal life at Wildlife Areas. To see reviews, where to stay, more things to do, and more tourist information, refer to the Provincetown trip itinerary planner. Traveling by combination of ferry and taxi from Nantucket to Provincetown takes 2.5 hours. Alternatively, you can do a combination of ferry and bus; or fly. In May, daytime highs in Provincetown are 63°F, while nighttime lows are 48°F. Finish your sightseeing early on the 27th (Mon) so you can travel back home.